Multi-Function Monitor with MultiTask Audio™ Can be used as TV or a computer monitor. MultiTask Audio™ allows the user to listen to audio while in the PC mode. 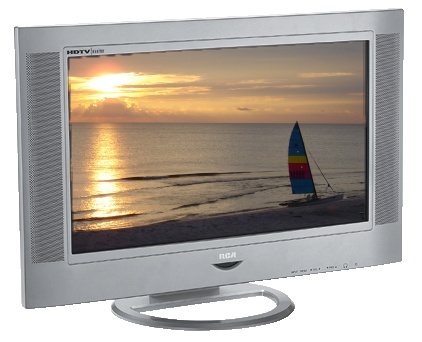 Widescreen High Definition TV Monitor with 1280x720 High Resolution Panel and Exceptional Contrast and Brightness Performance Capable of viewing digital TV signals (480p, 720p, 1080i) in 720 progressive lines. Fast 12ms response time yields crisp, clear, detailed images. Built-in analog TV tuner receives standard over-the-air television broadcasts and cable TV programming. HD Input Capability with PC D-Sub Input (RGB/VGA) and SYNCROSCAN™ PLUS Component Video Inputs SYNCROSCAN™ PLUS inputs automatically detect video formats 720p, 1080i, 480p & 480i, thus eliminating need for user to manually change output device settings. Auto Tune (One-Button Launch) - Provides One-Touch Convenience Once set, Auto Tune powers on the LCD TV, and the source device, while switching to the appropriate source input - all at the touch of a single button. VESA Wall Mount Compatible Allows the user to wall mount the unit with a universally standard VESA Wall Mount bracket.